hacking Network Security NMAP How to use basic NMAP scanning techniques . 8 Tips and Tricks . In this tutorial, I'm going to share basic NMAP scanning techniques. This list can be used as a guideline for you to explore NMAP . I will cover more on the advanced function of NMAP in my other tutorials. Please subscribe to this page. 1) Scan a single target. 3) Scan list of targets. 4) Scan range of hosts. 6) Excluding targets from a scan. 7) Excluding a list of targets. 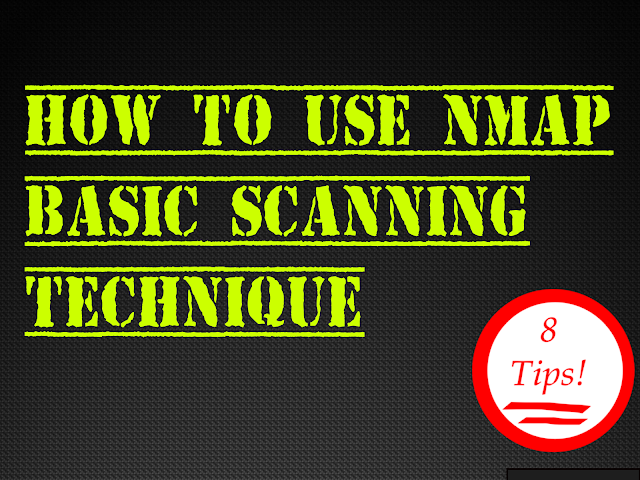 8) Perform an agressive scan.